Branded Nokia 2730 has arrived in cost efficient 3G Mobile Phone by Nokia . 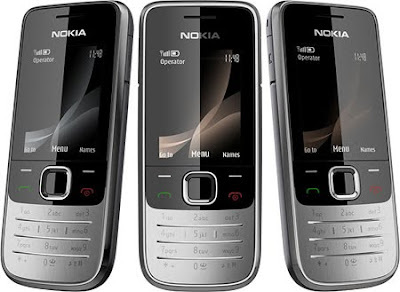 With an affordable price of Rs 4500 Nokia 2730 is available to capture your hearts. This Branded Nokia 2730 Classic has so many features to offer: * Its network is GPRS / GSM / EDGE 900/1800/1900 MHz, WCDMA 850/900/1900/2100, Nokia 2730 is OS Series 40 * Nokia 2730 has a resolution 240h320 points, Display: 2-inch, displays 262 thousand colors * Nokia 2730 is embeded with a Camera of 2 MP * Nokia 2730 has smart memory of 30 MB, slot for memory cards format microSD * Wonderful Music player * For your entertainment it has FM-radio with RDS,Stylish Nokia 2730 has 3.5-mm connector * Strong Communications with Bluetooth v2.0 EDR (with support profile A2DP) and SyncML 1.2 * During a call opening hours up to 3.5 hours (GSM),with (WCDMA) up to 3.30 hours and in standby mode up to 430 hours (WCDMA) and up to 340 hours (GSM). * Nokia 2730 has long lasting Battery Li-Ion 1020 mah * Nokia 2730 has weight of 87.7 g with Dimensions: 109,6 h46, 9h14, 4 mm * With add on like Audio Message, Email, MMS,Flash message. 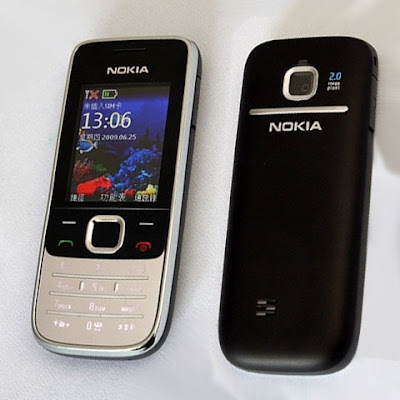 * Stylish Nokia 2730 has an Expense Manager,Integrated handsfree speaker and Calculator * It has also a Big key mat facilitate you and very easy to use. Go and grab it now!